Burial DeRuyter, Madison, NY, USA, Prob. buried with his wife behind Quaker Church, Quaker Basin, 2 miles east of De Ruyter, Madison Co., NY. John Houghton married Elizabeth Jackson in Mar 6, 1801 at Balliston Spa, Saratoga Co., NY, USA. Peter Houghton married (?) 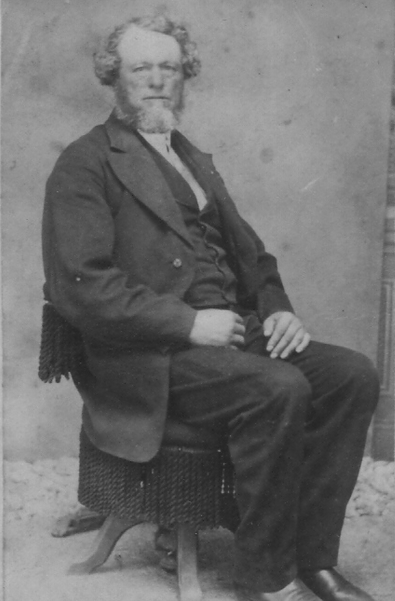 Shapley a few years before he died. Eli Houghton married Electa Joy in Feb 22, 1810 at Brattleboro, Windham Co., VT, USA, MLM, VT Families: Guilford VT.
1790 Census 1790 Fairlee, Orange Co., VT, USA, 1m 10-15, 1m 26-44, 2fm < 10, 1fm 26-44 and is the only Houghton in this census. Samuel Houghton married Sarah Cook in Mar 25, 1784 at Keene, Cheshire Co., NH, USA, DAR: 1784, 1785; MLM: gives marriage of Sarah Cook and Samuel Houghton b. 1784 and md. 1784 (incompatible date), son. Elizabeth Jackson married John Houghton, son of John Houghton 3d and Susannah Dodge, in Mar 6, 1801 at Balliston Spa, Saratoga Co., NY, USA. David Wilson Houghton married Chloe Potter in circa 1809. David Wilson Houghton married Susan (?) 1855 census states Susan was in Delaware Co. for 21 years; but David's prior wife did not die until 1845. 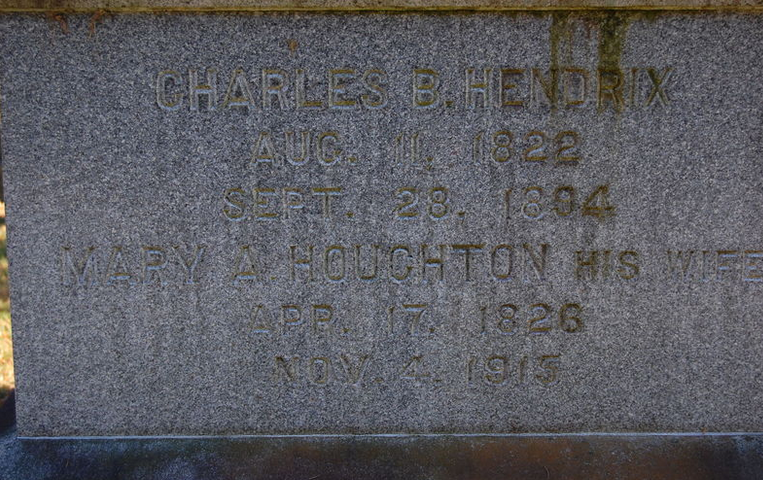 Mary Houghton married Charles B. Hendrix. Orrin Houghton married Louisa Burr in Jan 31, 1833 JWH: gives as dd. Henry A. Houghton married Hellen W. Smith in Feb 3, 1849 at Gloversville, NY, USA. William Houghton married Almina/Elmina Grinnells, daughter of Stephen Grinnells and Esther Dodge, in Feb 13, 1845 at Lorain Co., OH, USA. William Houghton married Harriet Packard. William Houghton married Ella Totten in May 2, 1878 at Ridgeway, Lenawee Co., MI, USA. Clarissa Houghton married George Carley. 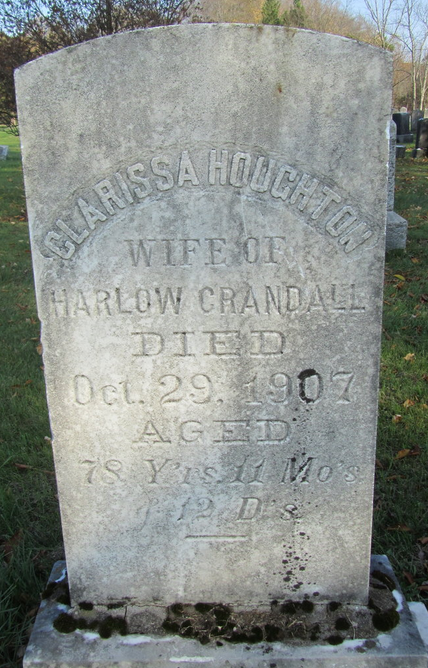 Clarissa Houghton married Harlow Crandall. James Houghton Jr. married Hannah Russell in 1782. 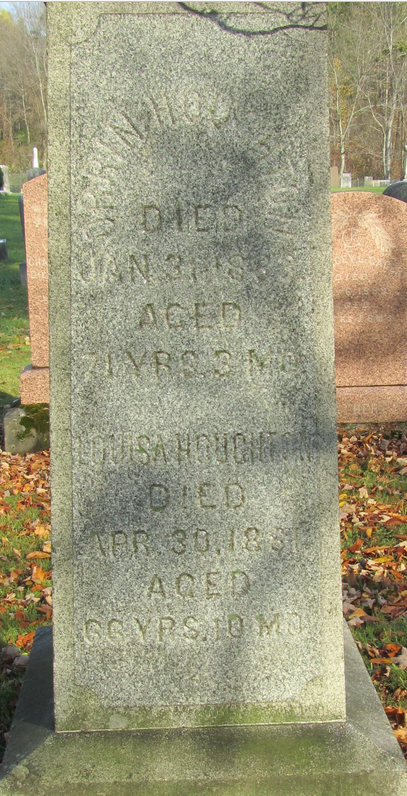 Burial East Woodstock Cemetery, Woodstock, Windham Co., CT, USA, Ephraim Houghton|died|May 6, 1840|AE 80 yrs. 11mos.|6ds. Ephraim Houghton married Nabby Holbrook in Jan 17, 1788 at Thompson, Windham Co., CT, USA. Dr. Ephraim Houghton b. 4 Apr 1799? Ephraim Houghton married Mary Nichols in Mar, 1817 at Thompson, Windham Co., CT, USA, Mrs. Polly Skinner at marriage; JWH: 17 Jan 1788, her 2nd; RWG: married by one John Nichols a Methodist clergyman; Bowen: Jan 17, 181-. Phoebe Houghton married Ebenezer Ormsbee in Jan 8, 1789 at Thompson, CT, USA. Sylvanus Houghton married Betsy Holbrook in Jan 15, 1795 at Thompson, CT, USA. Orinda Houghton married Benjamin Learned Jr. in Nov 25, 1790 at Dublin, NH, USA. Samantha Houghton married William Jordon w/1. Birth "She was brought by her parents from Union, Connecticut to Dublin, New Hampshire in 1781. After her marriage in 1789 she moved to Bethel, Maine. She moved again, to Gilead, Maine, in 1789 and remained there for the rest of her life." Bethia Houghton married John Mason in Jan 16, 1788 at Dublin, NH, USA, Mason: 16 Jan 1789; Leonard: June 1, 1789. Asenath Houghton married William Jordon w/2. Experience Houghton married Ebenezer Ormsbee JWH, MLM: w/2; 1st wife was her sister Phoebe;Union CT: dates for widow Experience do not agree with this Experience's birth date. Mary Houghton married Moses Colburn. Hannah Russell married James Houghton Jr., son of James Houghton and Phoebe Holt, in 1782. Nabby Holbrook married Ephraim Houghton, son of James Houghton and Phoebe Holt, in Jan 17, 1788 at Thompson, Windham Co., CT, USA. Death Aug 4, 1855 Woodstock, CT, USA, ae. 82; RWC: 4 Aug 185? Mary Nichols married Ephraim Houghton, son of James Houghton and Phoebe Holt, in Mar, 1817 at Thompson, Windham Co., CT, USA, Mrs. Polly Skinner at marriage; JWH: 17 Jan 1788, her 2nd; RWG: married by one John Nichols a Methodist clergyman; Bowen: Jan 17, 181-.